Estella's Revenge: Panels! A Comics Site for Everyone! Panels! A Comics Site for Everyone! Good day, friends! I know I've been a bit scarce, but I finally decided to give myself a guilt-free break from blogging. To tell the truth, I haven't even read anything in a week or so. But this slump shall pass, too, and probably all the quicker if I cut myself some slack. In the meantime, you should check out Panels! 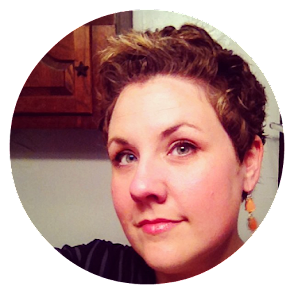 It's the new comics site from Book Riot. And as you can see, I'm fortunate to have a piece on the main site on launch day! 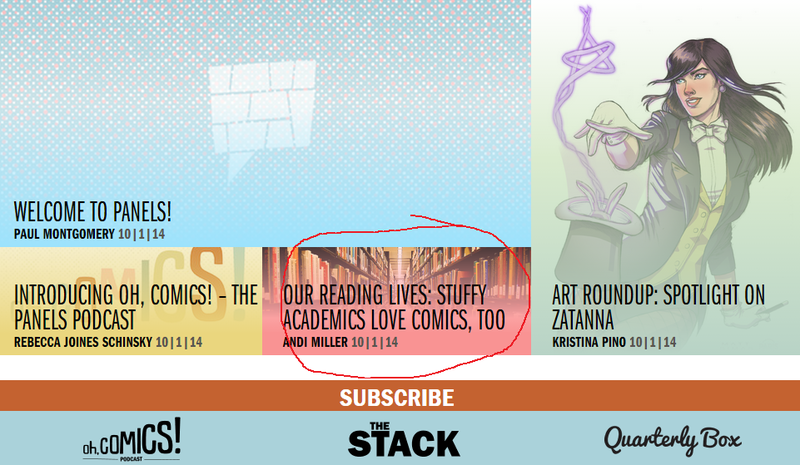 I hope you'll check out my comics birth story in "Stuffy Academics Love Comics, Too"...part of the Our Reading Lives series. There's plenty of other great stuff waiting in the wings over at Panels, and you can find it on social media @heypanels (Facebook, Twitter, Instagram). Now, maybe I'll get my reading started back up with Lumberjanes, volume 06! Wahoo! Congrats on your fancy debut, Andi!!! Awesome! Checking it out now. It was a great article! I came to comics late also, and sometimes I still don't know where to start, but I love them! Thank you, Jancee! It's a wild ride to read comics, isn't it??? So many OPTIONS! So so awesome Andi!! Congrats and kudos on all the hard work. That's so great! Will go check it out! I hope you like it, Katherine! Awesome! I will go check it out. Yay, congrats on the article! Thanks, Leah! That was a fun one. Thank you! I hope you enjoy the site! So cool, I'm thrilled for you, congrats!!! I too have taken a sort of break from blogging. My life is just too stressful right now to be thinking of what in the world to blog about. Panels looks really great though.